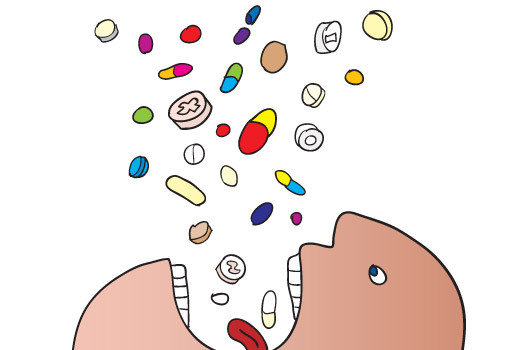 More than 164 million prescriptions were written for antidepressants in 2008. More than 1 out of 10 Americans are on antidepressants as of 2008. Researchers Olfson and Marcus examined the clinical data from 1995-2005 and focused on 50,000 people to study. They found that those on antidepressants were more likely to then go on to use more powerful anti-psychotic drugs and less likely to partake in psychotherapy. (2) In that sense, antidepressants are a type of gateway drug and they apparently aren’t effective enough in many cases because more powerful antipsychotic drugs are later prescribed. Dr. Eric Caine of the University of Rochester in New York said he was concerned by the findings, and noted that several studies show therapy is as effective as, if not more effective than, drug use alone. “There are no data to say that the population is healthier. Indeed, the suicide rate in the middle years of life has been climbing,” he said. Therapy is not as easy to simply popping pills, though, which leads us to the low back pain issue. Low back pain is one of the most common and most expensive medical conditions in the United States. Most people will have to deal with low back pain at some point in their lives. The cost of prescription drugs and expensive surgeries are two of the major factors causing an explosion in healthcare costs in the past decade. Surgery is a significant cost associated with treating low back pain, and this is despite the fact that research repeatedly shows that chiropractic care is a safer, less expensive and more effective way to treat most cases of low back pain. (3) Research has also shown that contemporary medical treatment of lower back pain is more likely to lead to disability than is chiropractic care. (4) Still, most people do not know these facts and instead go see a medical doctor. Medical doctors routinely prescribe painkillers and muscle relaxers to their patients who complain of low back pain, often doing so rather than referring them to a chiropractor. On top of those drugs, now medical doctors have begun to prescribe antidepressants to their back pain patients. This is where we come to a thought experiment. Think with me for a moment: as anti-depressant use doubled in the United States from 1996-2005, did the incidence of lower back pain decrease alongside it? If anti-depressant use has more than doubled, and medical doctors consider antidepressants a treatment for lower back pain, then the prevalence of lower back pain should have dropped significantly. That should tell you all you need to know about using prescription psychiatric drugs to treat a problem with your lower back. Baby, you were born to run, barefoot?